Soon after I retired in 2014 my teeth began to loosen and began to fall out. My dentist referred me to a local implant specialist in my community in Sacramento, CA. After the initial exam it became apparent that I couldn't afford the $55,000 minimum estimate they quoted me. Further research took me to WhatClinic where I came upon B Dent in Zagreb, Croatia. My remaining teeth were extracted, bone built up and implants completed over two days. I am still amazed of the skill and care of the team at B Dent. They picked us up at the airport and met soon after to introduce us to the team and and review the treatment plan. I tell my my family and friends that this was the best decision/investment I've made for myself and credit B Dent for making it a total great experience. We had visited Zagreb the year before so we decided a clinic in Croatia. Dr. Burazin sent an itemized list of cost for treatments and it was affordable. Her team was very informative via email and phone during the planning process. The surgeon, her staff were very friendly and professional. They explained all phases of treatment prior to each procedure. I received 10 implants, 6 lower, 4 upper. Dr. Burazin explained all costs, but more importantly eased all my concerns and fears I had. On top of that her staff helped suggest where to shop, rent a car and ideas for travel after treatments. We really valued their total care. While in Croatia, we visited Split and Plitvice National Park for a week., visited museums and attended the National Ballet. The most amazing thing is that our airfare and vacation cost for the the trip was at least one half of what I I was quoted by my local clinic. I don't have a UK dentist any more, every time I go on holiday I get a check up and clean with Andrea. I love attention to detail and get that in spades. My teeth are fantastic after every visit. Fully recommend. I would never again go back to a UK dentist. Even considering getting braces, which means more regular trips, but the saving would be worth the flights and some, by a considerable amount. First meet with the friendly and experienced staff for my Wisdom teeth removal. Afterwards, they have succesfully applied teeth whitening followed by 4 implants. I believe they are quite good with the fillings as well, my friend who suggested me B-Dent was being treated for fillings. 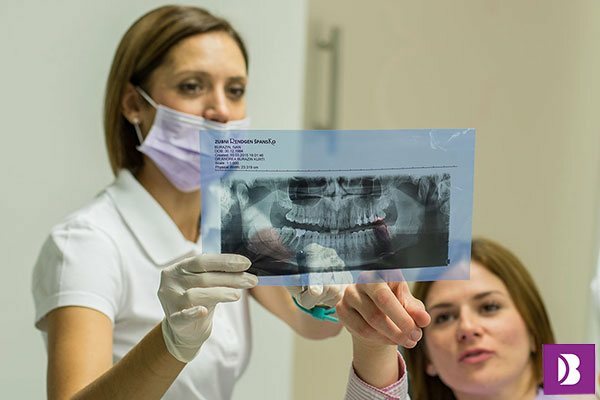 Very well educated dentists, real friendly and professional approach. 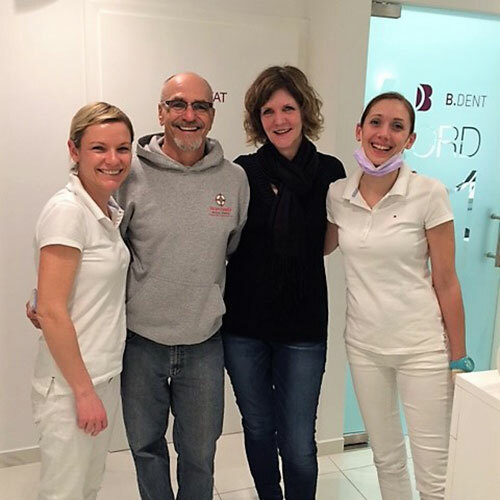 During my business related stay in Zagreb for almost 2 years, B Dent was a great choice for my dental works. They have been suggested by a local friend to me. Very well educated dentists, real friendly and professional approach, and the clinic has a very clean, tidy and hygenic environment. Can't thank them enough for giving me a great Smile!!! Had a teeth whitening treatment recently and very pleased with the results. Prices are reasonable and my smile could not look better. The whole treatment lasted an hour, felt comfortable throughout and received a consultation on how to look after my teeth post the treatment. Highly recommend. Friendly, professional and experienced staff. Very convenient location and well connected to the rest of the city. Warm welcome to the clinic eases on nerves and helps to relax prior to the treatment. OMG... what a transformation.... I have a beautiful unbelievable set of teeth now. The team at B.Dent is very professional, very experienced and they make you very comfortable. I can tell you hand on my heart, it was an amazing experience and they really put their heart and soul into their work. If I can give them more than 5 stars, I would easily give it to the team at B.Dent. I highly recommend to anyone... I wish them all the very best for the future!!! Doktorice i cijeli njihov tim su za svaku pohvalu! Moja potraga za stomatologom završila je već nakon prvog dolaska u B.dent. Hvala na strpljenju i stručnosti! Najbolji stomatološki team ikada! :) Stomatologinja Andrea je i taktična i strpljiva i nježna, hvala beskrajno! Dr. Andreja najjača, svaka čast... nježna, profesionalna, komunikacija iznad svega. Svakome bi ju preporućila... Dr. Andreja hvala! Odlične stručne i vrlo ljubazne doktorice. Preporuka!